Our legal team receive calls via our legal advice line from children and young people in custody who have inadequate plans or no plans in place for release despite the clear legal duties on local authorities following M v Hammersmith and G v Southwark. We worked with children in custody to find out their views of what home means to them. They told us it means: love, happiness, caring, safety, food and drink, warmth and comfort. 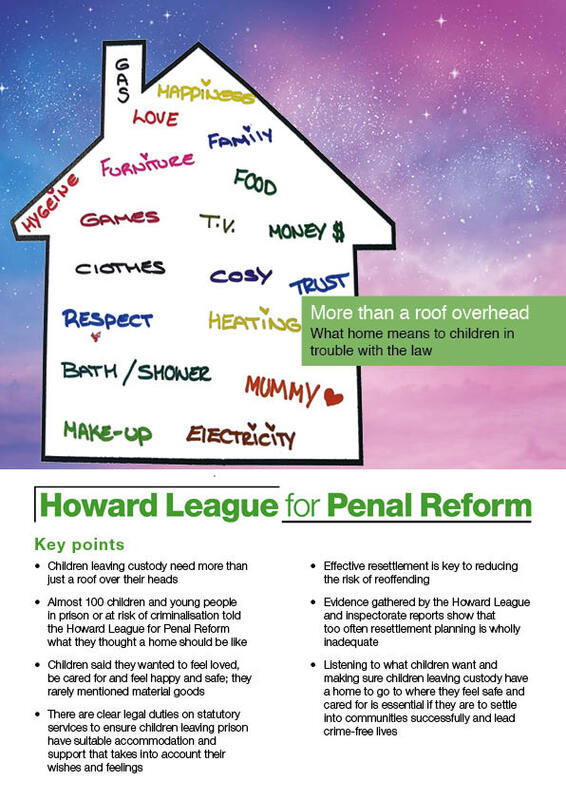 In short, for children and young people in custody, ‘home’ means much more than just a roof over their head. Often vulnerable and coming from challenging backgrounds, it is essential that more care is taken to understand and meet their needs. Too often lawyers and social workers are desperately scrapping around to find shelter for young people and failing to ensure they get a home. We hope our briefing will contribute to raising aspirations for children and young people in need of a home.